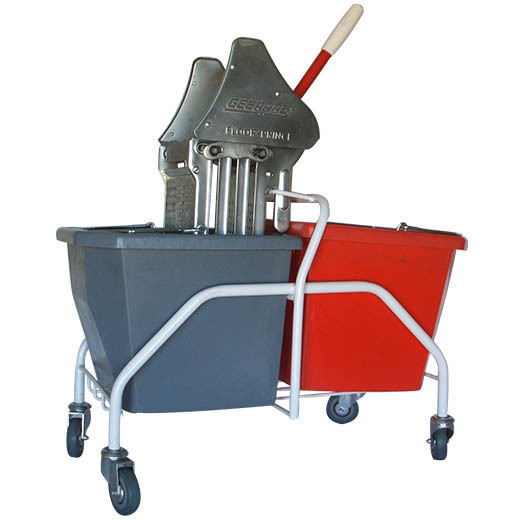 Double 25L bucket mopping trolley with wringer. The double bucket mopping trolley consists of a sturdy mopping frame with castors, detachable wringer, two 25 L buckets in red and grey. This double bucket system allows for one bucket to hold dirty water while the second holds clean rinsing water without the two mixing.